is it big? ?i want to buy it and when does it appare?? 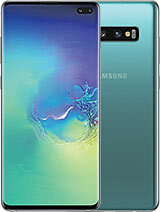 For those who interested in mobile camera phones, Samsung has the new SPH-V4400 come out later this year with a 2megapixel camera and record video up to 2 hours!! So it's true that in Asia they have the most advanced phones. Although V4400 is a CDMA phone but Samsung did say that they'll introduce new 2 megapixel GSM phone later this year. What's the point of the swivel when a slider keyboard would have done the job? Seems like more over engineering to me and possibly a future reliability issue. Stick with Sony's more conventional form factors. nope, it doesn't have fm radio, check out se's official website, too bad..
well guys,take it or leave it,stop that crab about fm radios,it must have that,its the final hit of SE to brake nokia's and all that stupid stuff out there. Can it do video streaming?? American guys, this phone will cost around EUR 800 (like P900) - and this are not 1100 Dollars! anybody knows whether this phone has fm radio function? wow thats gonna cost S$1100 ! Est cost is USD 600 or RM 2300. It does not have any 'smart phone' software, but it has very very good hardwares. It still uses the standard OS by SE, but there has been circulations that this 'normal' OS is actually quiet good. which is better symbian o.s 7 or above or the microsoft smartphone 2003 on the mpx?